Join the Beachside Baptist Church Women’s Ministry and the Children’s Ministry in packing a shoe box full of fun for Operation Christmas Child. Boxes are available with an instruction sheet and a label for the age group that you choose. With each shoebox, a donation of $9.00 is requested to cover the cost of shipping and other expenses. Get your box before or after any church service. Have fun shopping for your child! Boxes need to be returned to the church on or before Sunday, November 11th evening service! 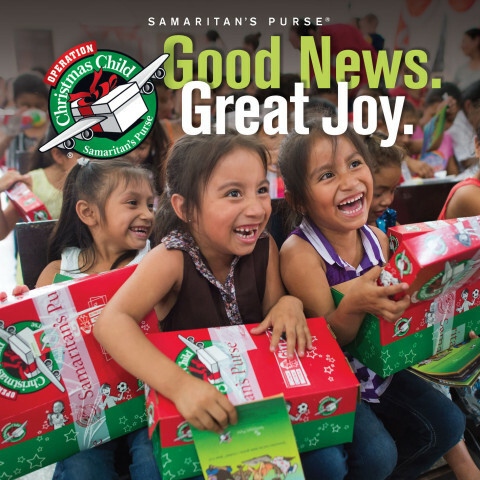 After shoeboxes are packed, sent off with prayer, and prepared for overseas shipment, they travel by plane, boat, and truck to countries where local churches receive them with joy. Every gift-filled shoebox provides these churches with an opportunity for evangelism and discipleship in places they otherwise might never be received. As a result, the Gospel is transforming children, families, and entire communities. Start with a quality “wow” item such as a stuffed animal, soccer ball with pump, or clothing outfit that will capture the child’s attention the instant he or she opens the box. Click the button below to see gift suggestions according to age and gender including other fun toys, hygiene items, and school supplies to fill the shoebox.